SODA architects have recently completed the design of the BLUFISH Restaurant, located in Beijing, China. 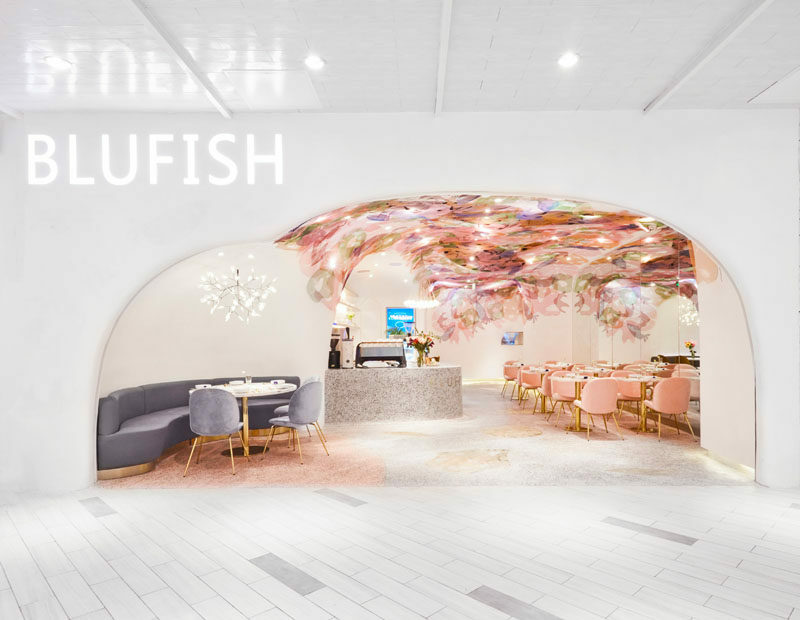 The architects created an underwater world full of fantasy and mobility with white as the basic tone and they designed a blue and pink colored metal mesh that extends down from the ceiling. The mesh ceiling accent and the floors feature six kinds of hand-drawn sketches that represent the underwater coral, aquatic plants and fish groups. The design was created by using metal mesh shapes that were cut out with a laser cutter and then attached to the curved white surface of the ceiling.